Alicia Soldat joins Torrey Smith Realty with an enthusiasm to help others embrace the Shelby County community as boldly as she has in the last three years. As a newcomer from North Carolina, she was originally drawn the Shelbyville for its location and its proximity to her husband’s family. However, as she has planted roots, she’s realized that it’s not just a place that’s conveniently located a few miles from the big city, but, rather, it offers a true sense of place and belonging that’s unique in today’s world. “Not only is Shelbyville a great place to settle because you don’t have to deal with traffic or other metropolitan problems, but it offers a diverse menu of resources, industries and quality of life benefits that make it a great place to live and work. That’s hard to find. Where I lived in North Carolina, the community was solely supported by the furniture industry, and when that left, it was devastating for the area. I think Shelbyville is well established and offers so many things to enjoy, experience and grow from,” she said. Alicia also values the entrepreneurial synergy brewing within the community. This spring, she’s set to earn her bachelor’s degree in marketing at the University of Louisville, where she is also minoring in entrepreneurship. She’s looking forward to putting those skills to use in her role as an agent at Torrey Smith Realty Company. 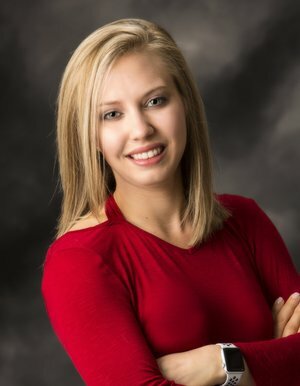 During her time in Shelbyville, Alicia has gained some valuable insight into the behind-the-scenes aspects of real estate, through experience working at a property management company. She and her husband, Jacob (and their dogs Larry and Tinkerbell), purchased their first house just shy of two years ago, so the feeling of achieving the American Dream of homeownership is still fresh. “I know how good that felt, and I want to help others experience that by helping them find a home that’s perfect for them. Every house is not a home. I want to find the one that’s a match for them,” she explained. Alicia said she chose Torrey Smith Realty as a place to start that effort because she wanted to work with someone who had a mentorship attitude. “When I first met with Torrey, it was obvious that he was focused on helping others. He and his team of Realtors have a great reputation in the community and I felt like this was a good place to land. Also, he sold my mother-in-law’s home in one week, so I knew that he was focused on his clients,” she added. Aside from new home here in Shelby County, Alicia said her heart is at the beach and one day she hopes to start a non-profit organization that would benefit sea life and the waterways. For now, however, her passion is flowing to get her feet wet in the real estate industry and serve the community she’s grown to love.